Wedding dresses were abundant in Paris Fall 2016 collections. Zuhair Murad, Valentino, and Elie Saab showed their signature style in beautiful new lacy dresses with trendy ruffles galore. Sharon Wauchob too didn’t shy away from designing an entirely ruffled dress that mixes cream white and beige chiffon. 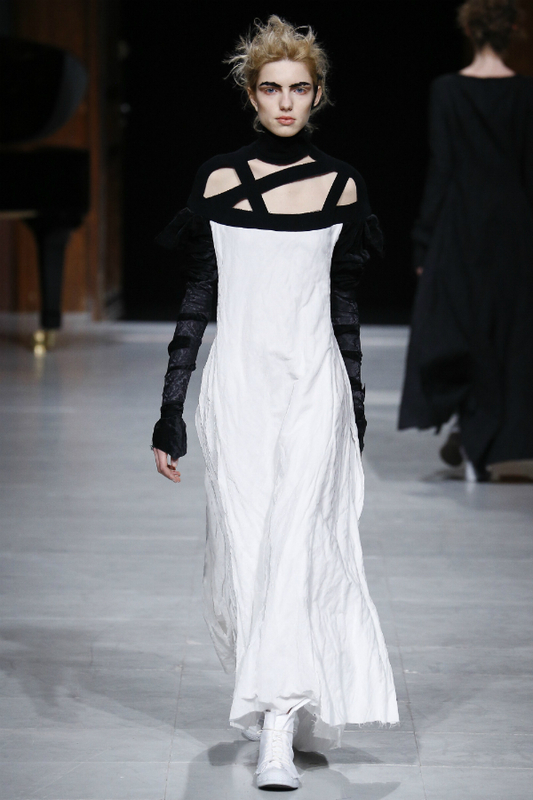 Camilla and Marc showed a spider lace dress that ends mid-calf and features a turtleneck. Louis Vuitton and Aganovich showed that a wedding dress can look really really different from what we’re used to. 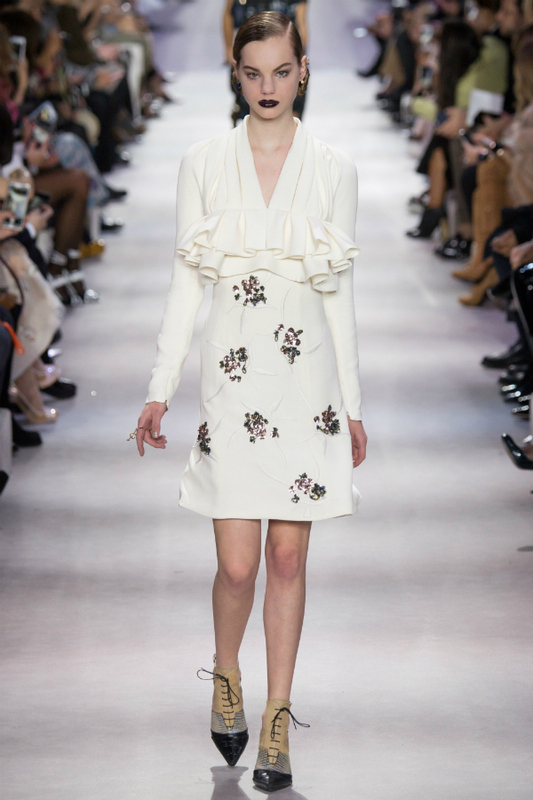 Finally, at Christian Dior we saw something that would appeal to sophisticated brides who like conservative style with a twist but at the same time aren’t down for a traditional wedding dress. What do you think?